We love visiting Washington, DC! There are beautiful dog-friendly parks, restaurants, shops, monuments, boat rides . . . the list goes on and on! 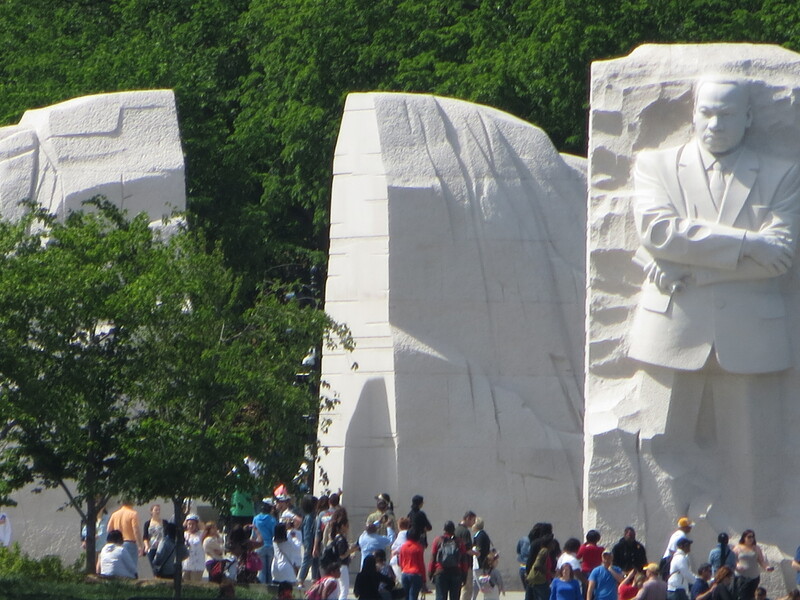 On a recent visit we stopped by the Martin Luther King, Jr. Memorial, part of the National Mall and Memorial Parks. The National Mall is dog friendly and a fun place to visit! The monument includes quotes from throughout King’s lifetime and offers a beautiful view of the Tidal Basin. Today CNN posted 9 Things about MLK’s speech and the March on Washington. Today marks the 50th anniversary of this historic civil rights event.